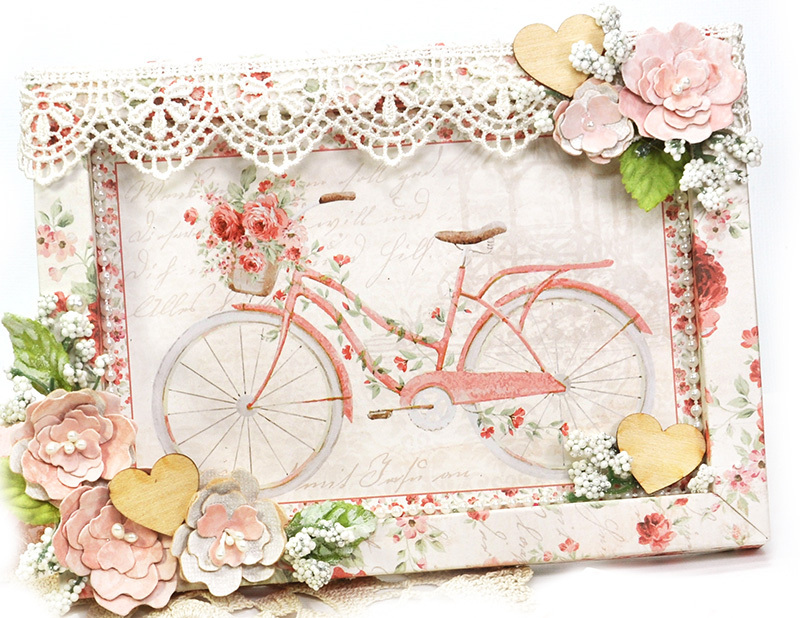 DIY joy. The best cards are those that get mailed or given to someone. 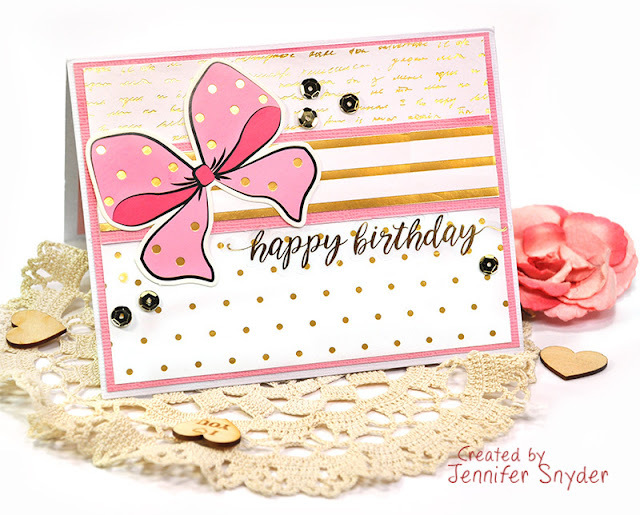 The fanciest card can sure be beautiful however if it remains an unfinished thought on your craft table, then it brings joy to no one. 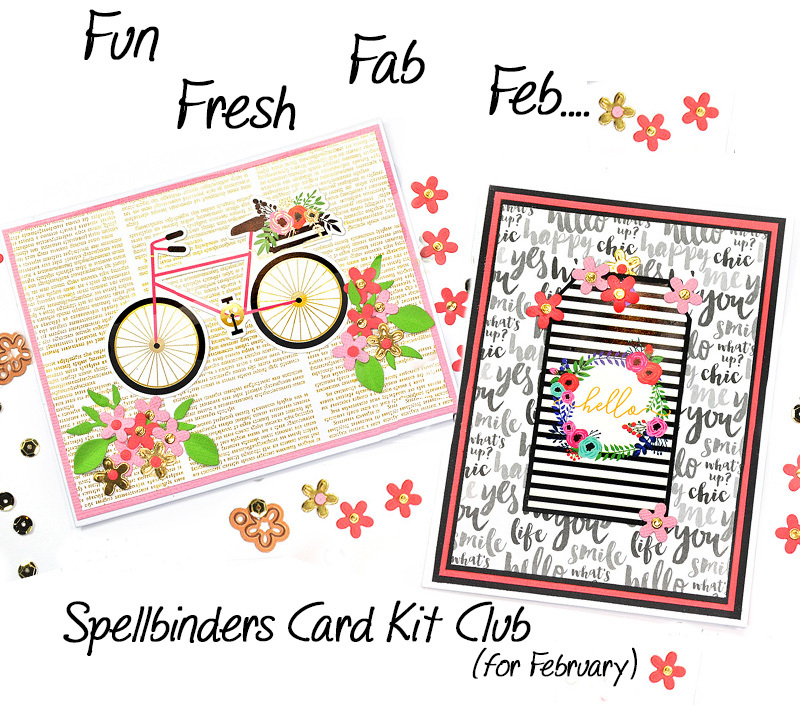 Spellbinders Card Club Kits provide. 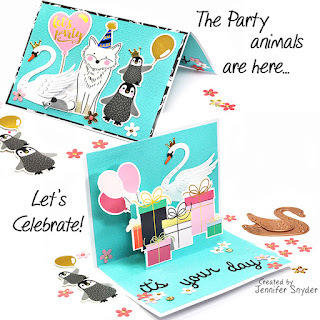 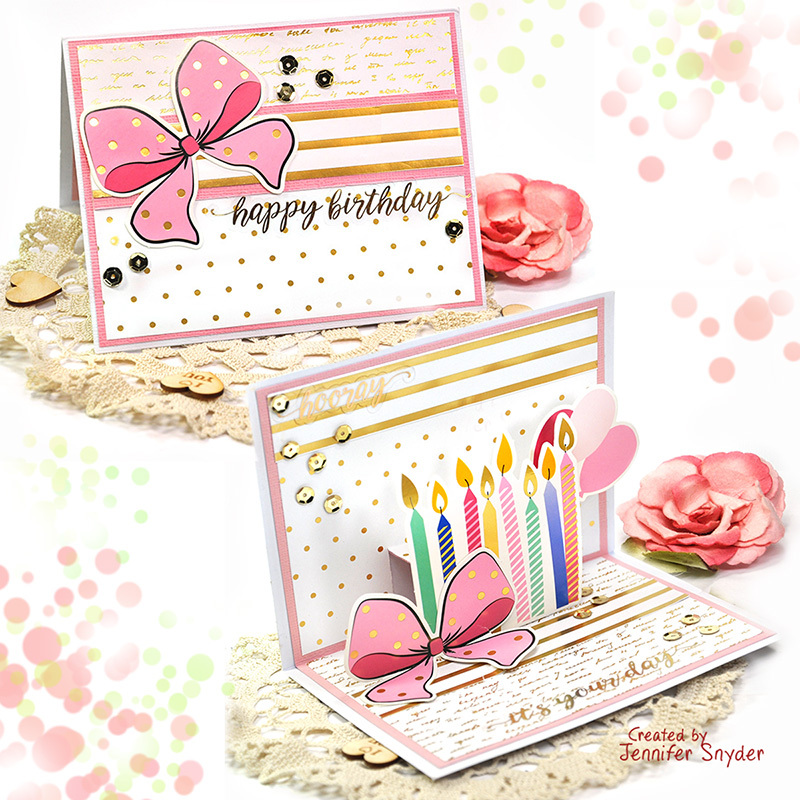 These cards were created using the fabulous card kit extras/add-ons included in the kits AND available for purchase separately. 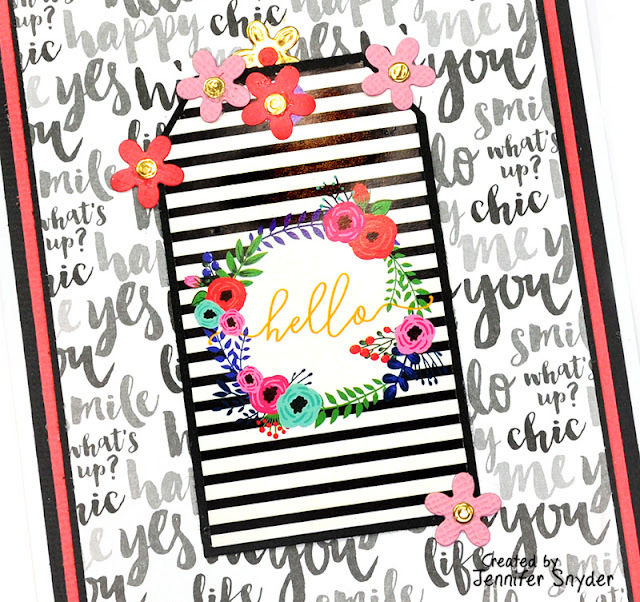 The die cuts in the monthly kits are fresh, fun and fabulous. 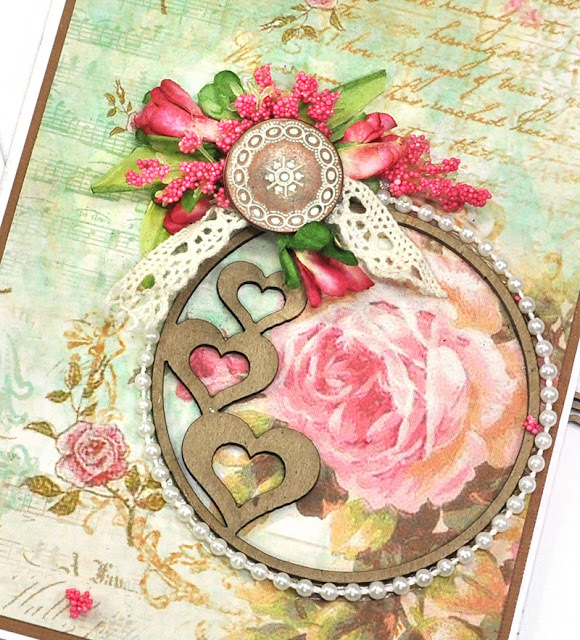 They include a variety of masculine and feminine elements for versatility. 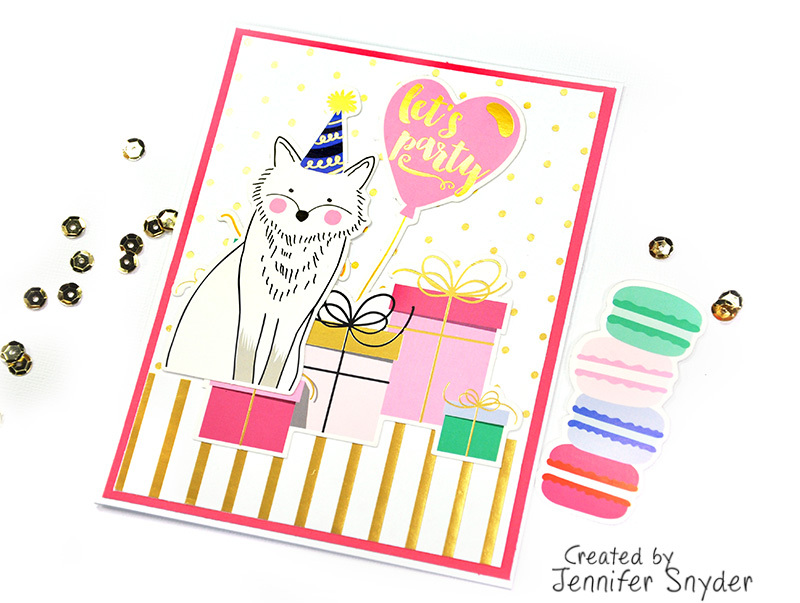 In addition to the amazing Spellbinders dies, the kit comes packed with paper, cardstock, stickers, die cuts and so much more - the "Extras". Wanna know a wonderful way to add joy to someone's life? 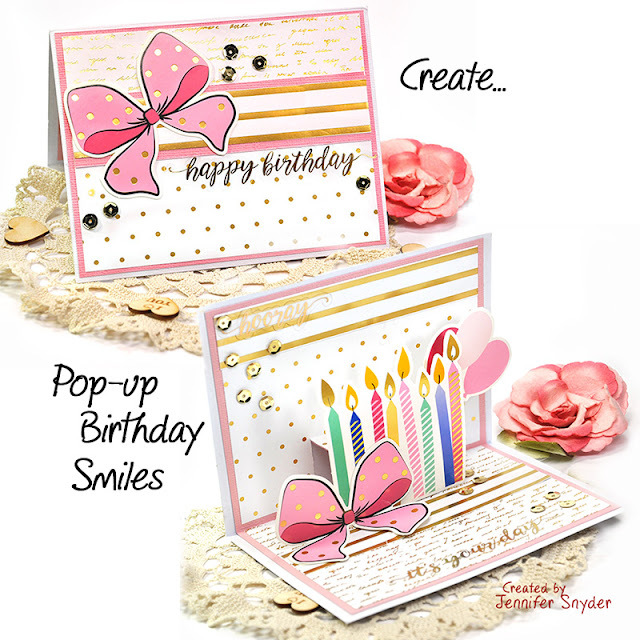 Make them a card...from your heart. 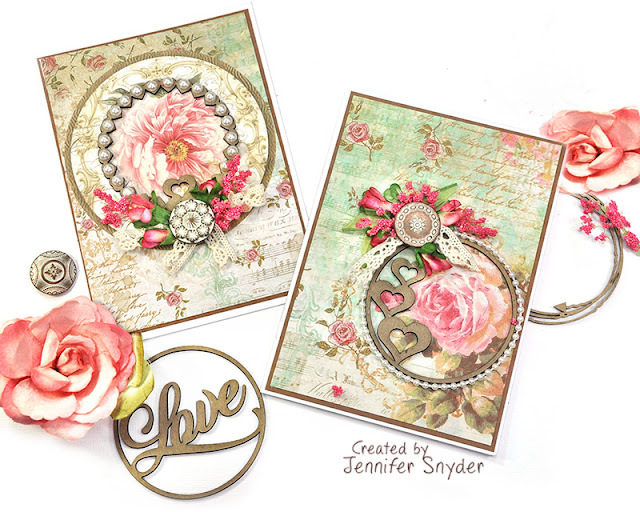 Let someone know how special they are. 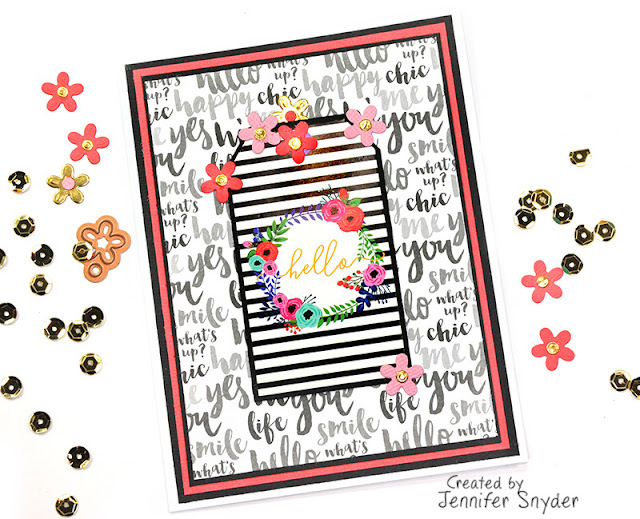 DIY joy. Spellbinders Card Club Kits can help! 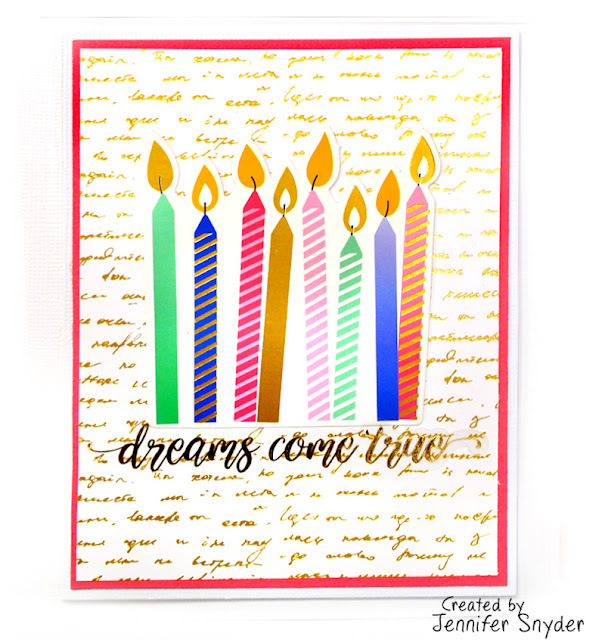 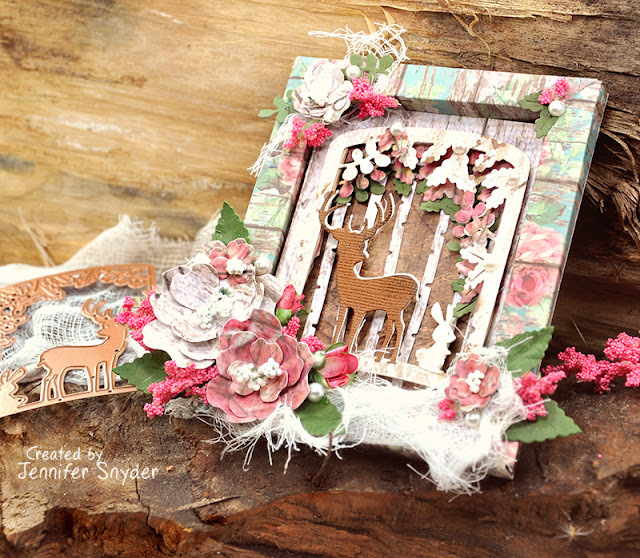 The monthly kit contains everything you need to get started AND Spellbinders also provides amazing inspiration. 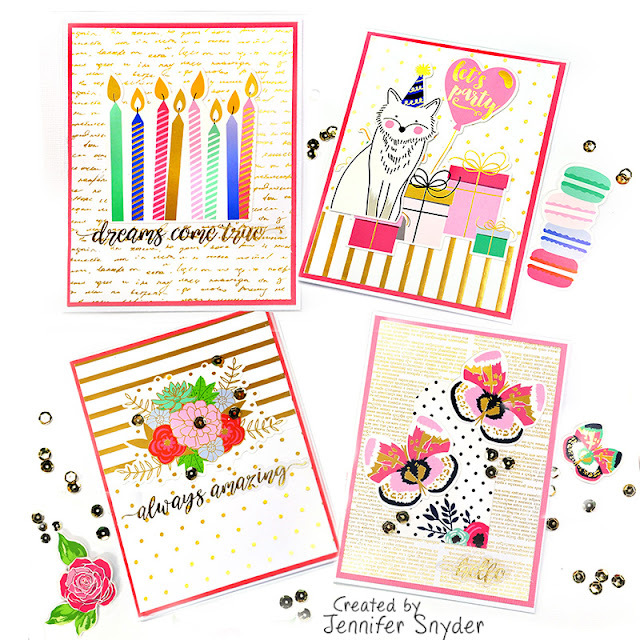 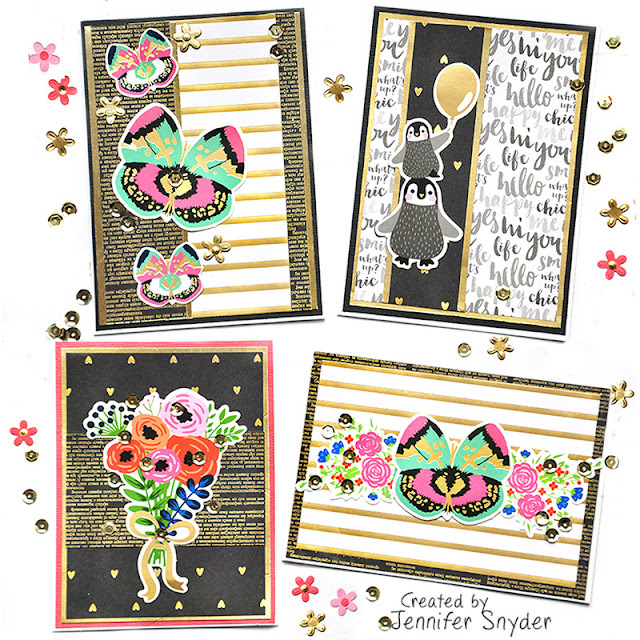 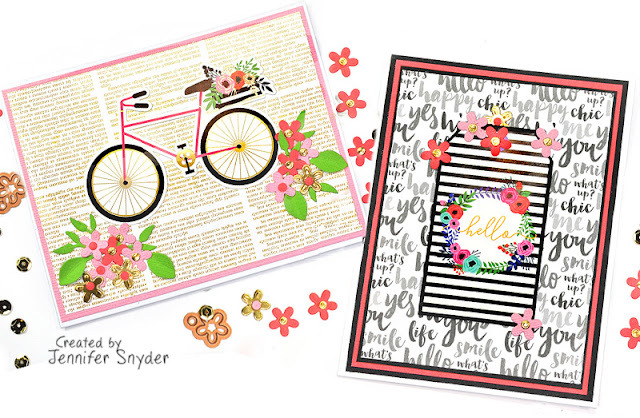 I created some quick cheery cards featuring the fabulous card kit extras/add-ons included in the kits AND available for purchase separately. Spellbinders does an amazing job at sending unique and different embellishment surprises in the kit boxes. 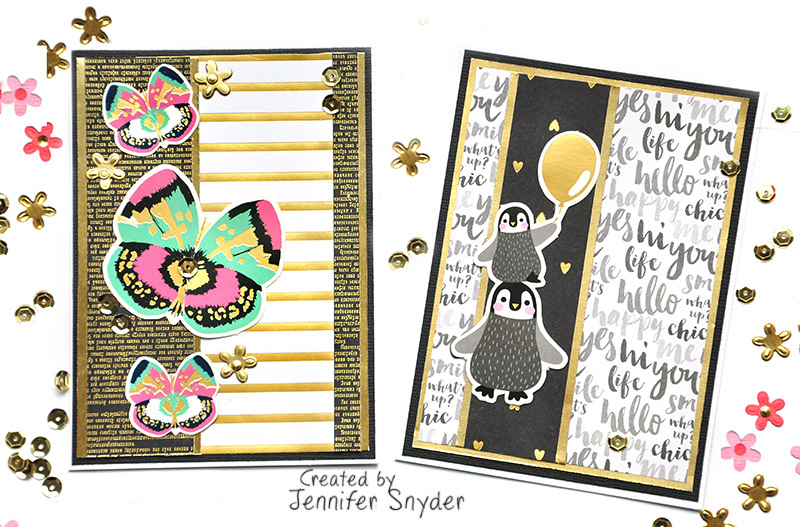 This month, I'm obsessed with the Golden Swan Foil Stickers gold sentiment stickers. 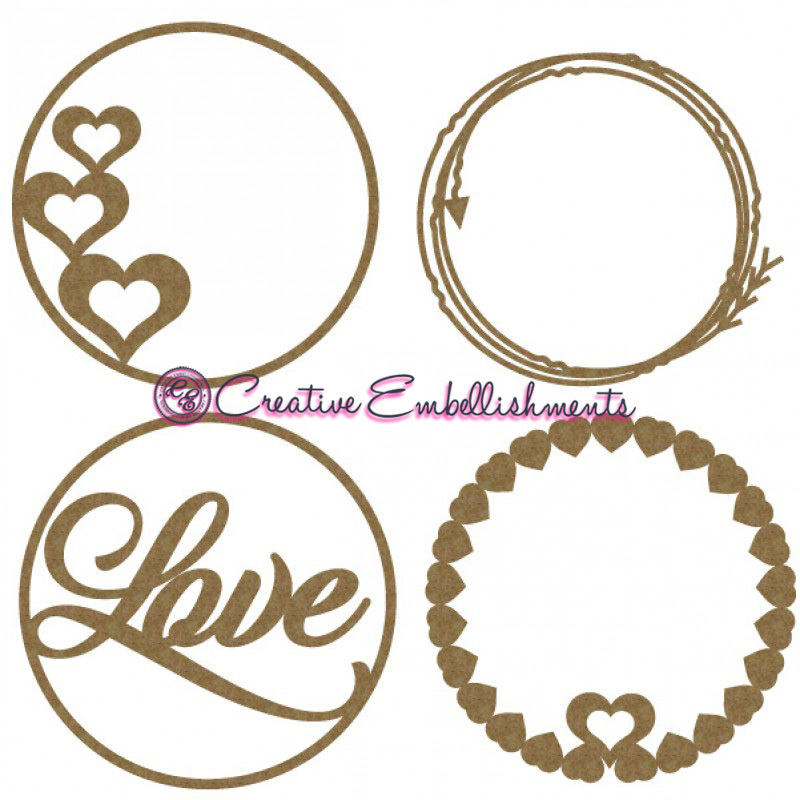 Remember - these can also be purchased separately here. 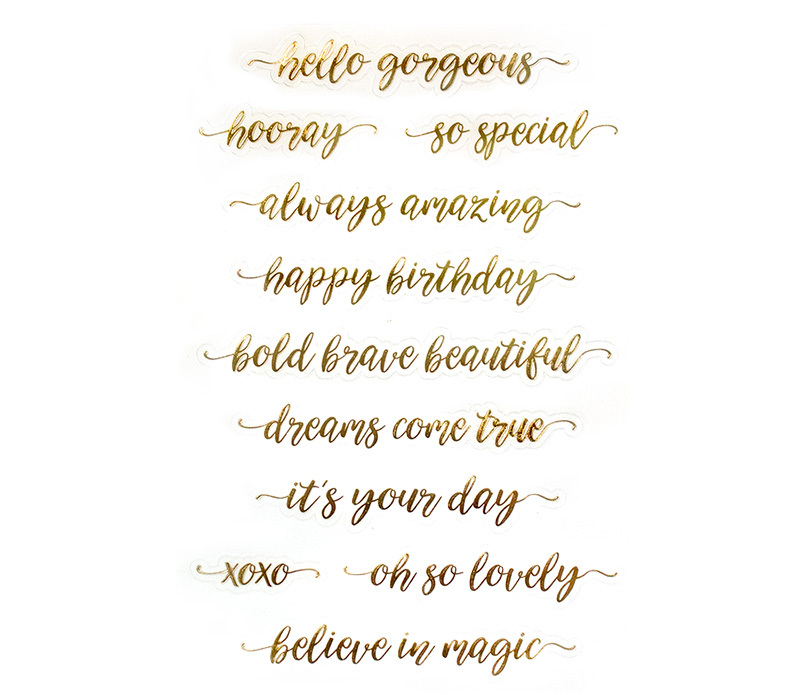 You can purchase the Gold Foil Stickers here. 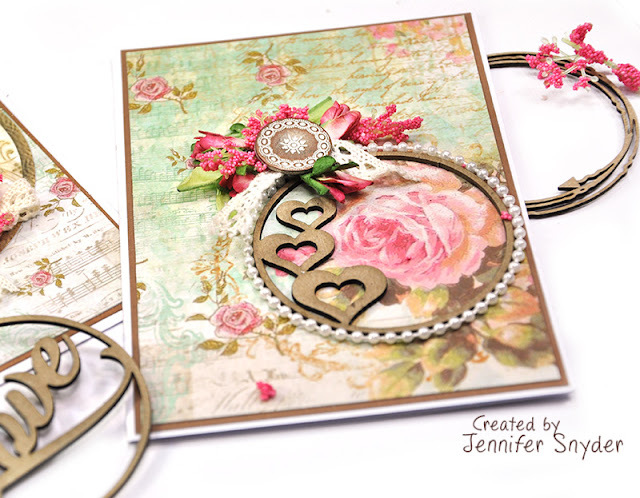 I am continuing my obsession with pop-up cards using Spellbinders Card Club for February. 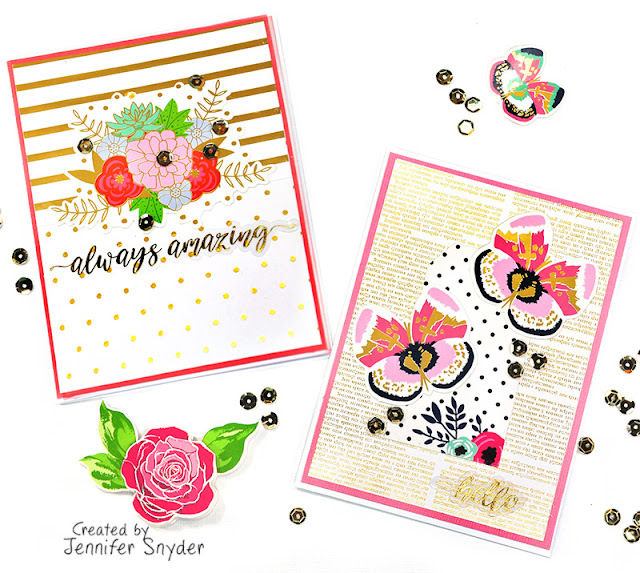 Today's feature is all about the card kit extras/add-ons that are available like the amazing fabulous die cuts found in the kit. Why this crazy obsession? 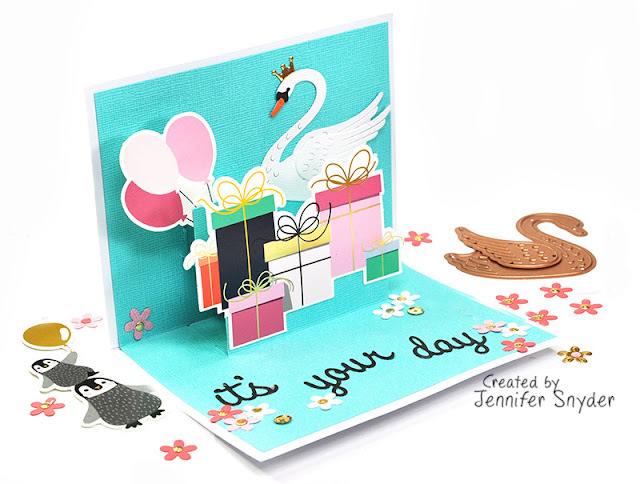 Pop-up cards are fun and easy to create plus I know people smile when a card reveals a fun surprise. 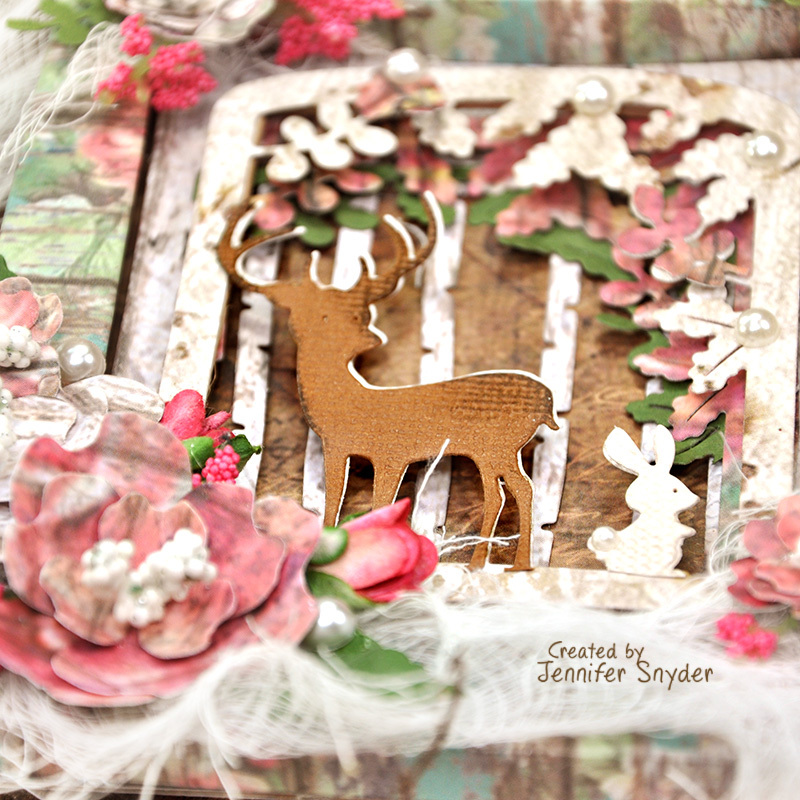 This is where Spellbinders Card Club Kits always deliver creative fun. Scroll down to see a quick 2 min. 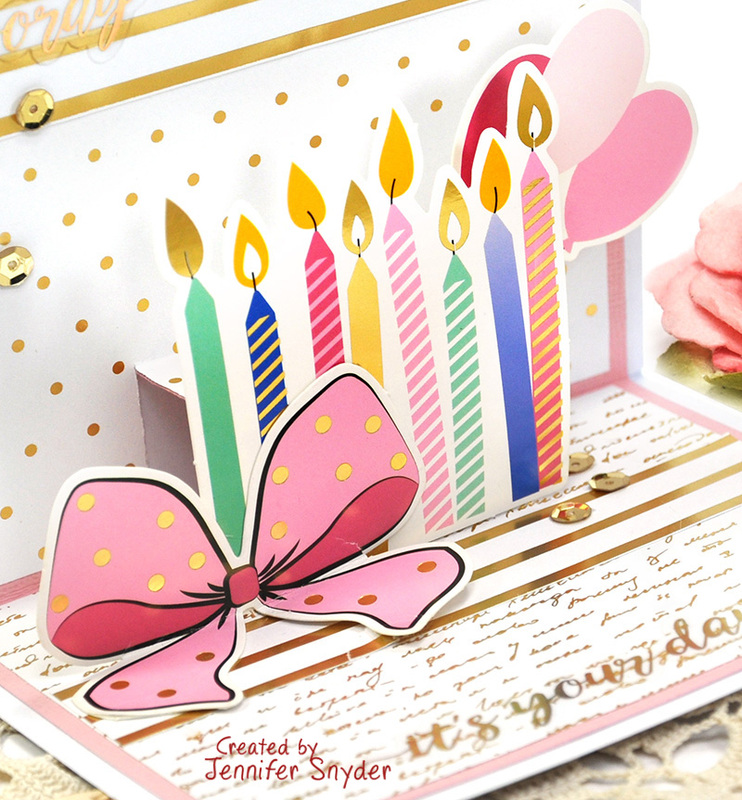 DIY tutorial on how to create the Pop-Up card basics. 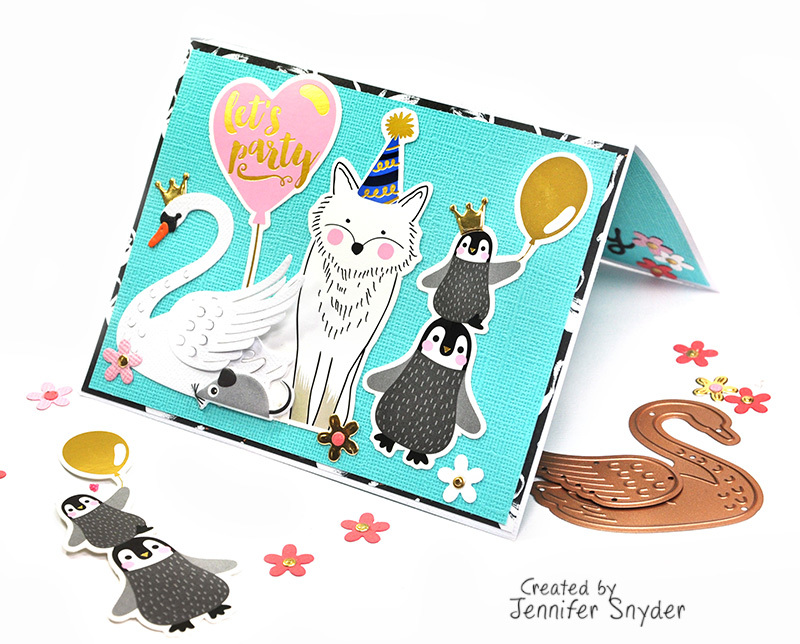 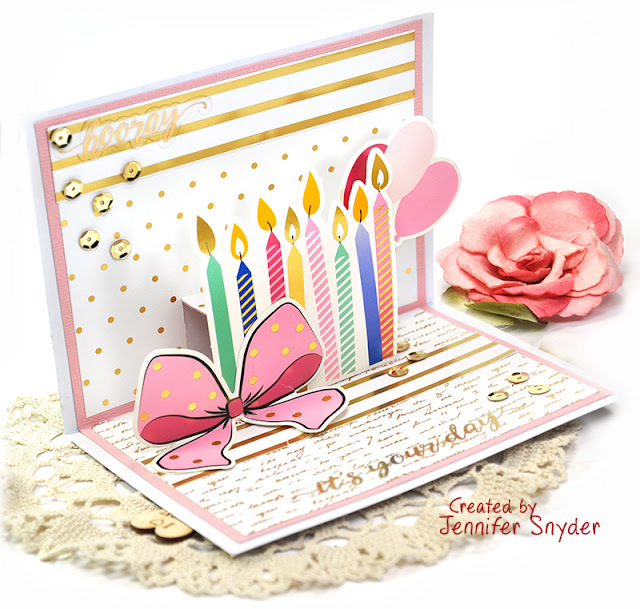 Here is a link to the previous pop-up card I made with February's Card Kit. 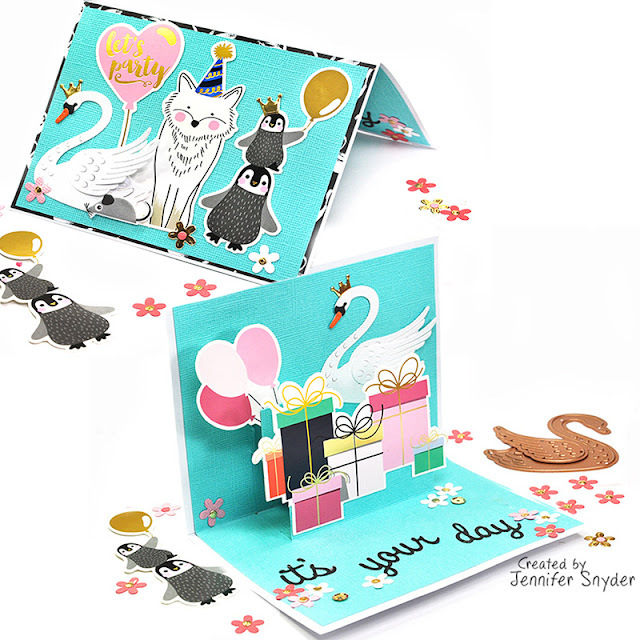 In addition the the amazing Spellbinders dies, it comes packed with paper, cardstock, stickers, die cuts and so much more - the "Extras". I have used many of the die cuts from the kit for my card. 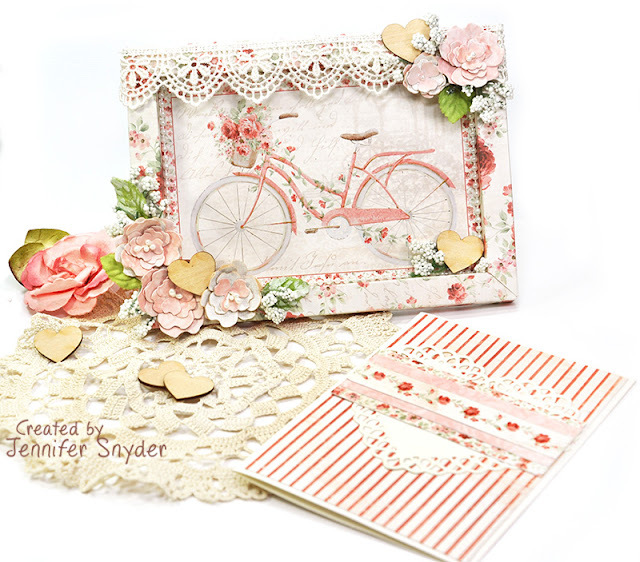 Todays I'd like to share a Valentine's gift set created using a combination of my favorite products - Spellbinders dies, Maja Design papers and embellishing accents from Creative Embellishments. My gift card set has two elements, a decorative shadow box frame and a matching card. 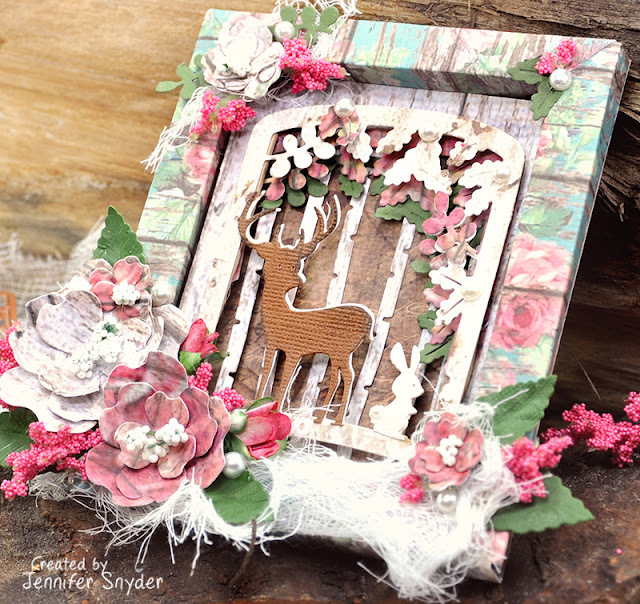 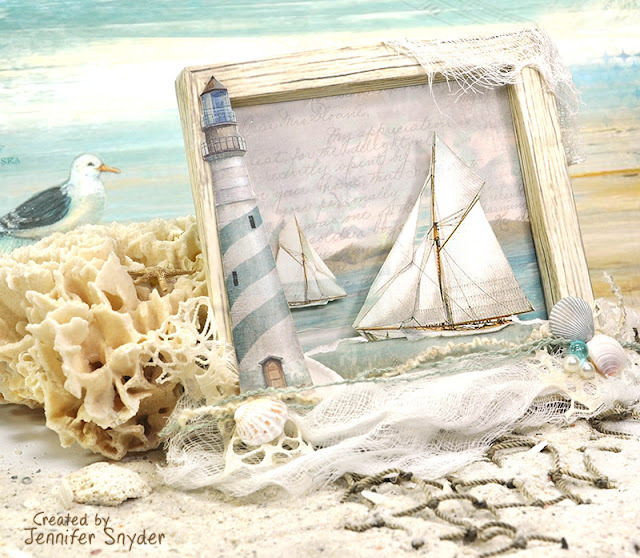 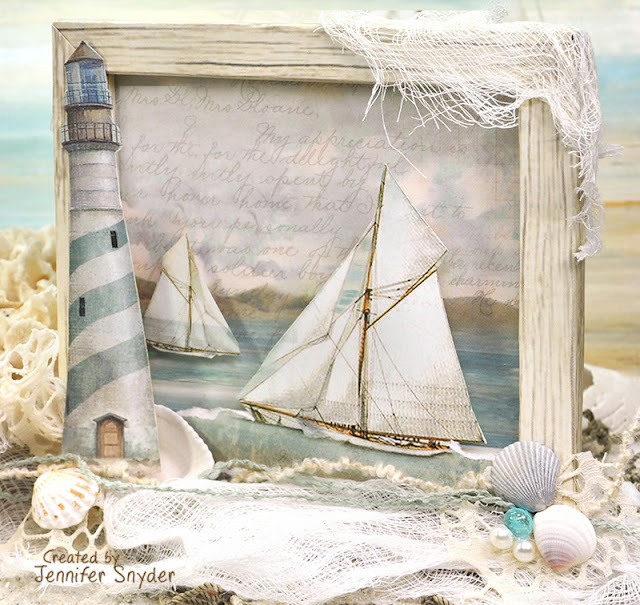 The shadowbox frame was created with a cool new die from Spellbinders and Becca Feeken - Spellbinders Adjustable Shadowbox Frame 1/2 inch - Becca Feeken. 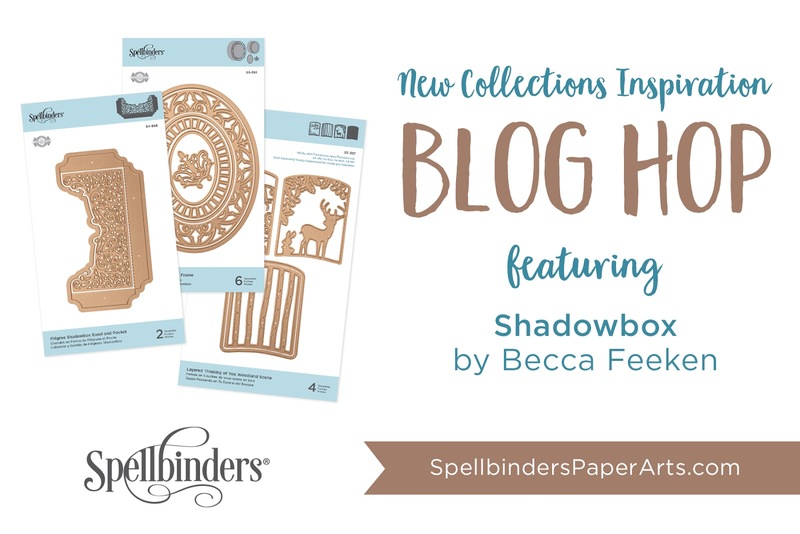 If you scroll down, I added a link to Becca Feeken's video tutorial on YouTube. 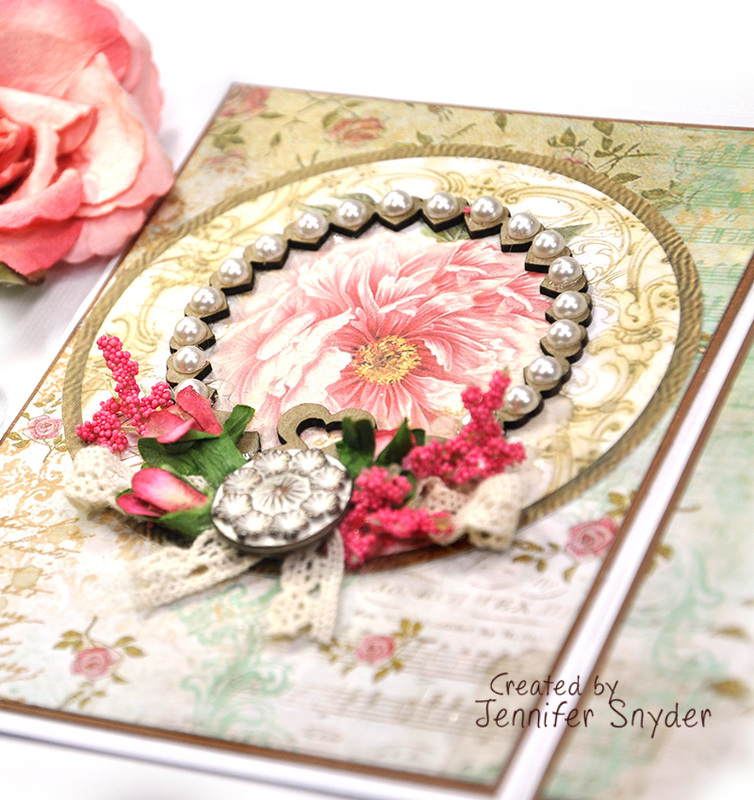 I paired the dies with the gorgeous raspberry pinks in the Maja Design Summertime collection . Below is a look at the papers I used for the Shadowbox. See those darling wood veneer hearts? 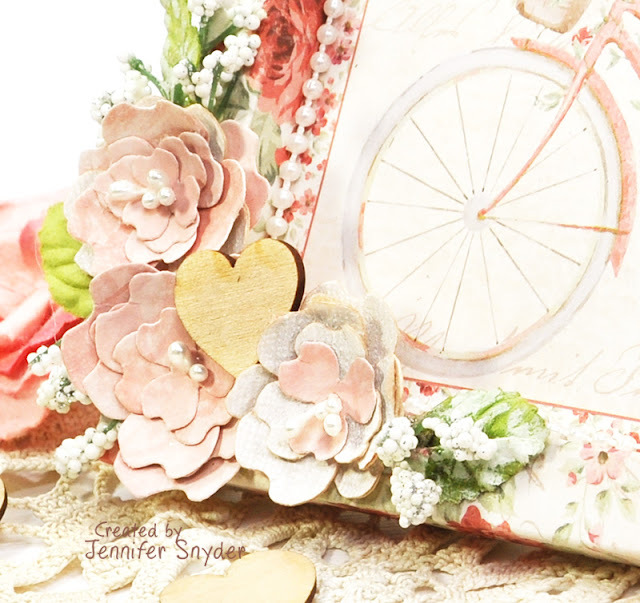 Those are from Creative Embellishments wood veneer hearts and I simply adore them because they are "conversation hearts" that I turn backwards so they become "all occasion" hearts. 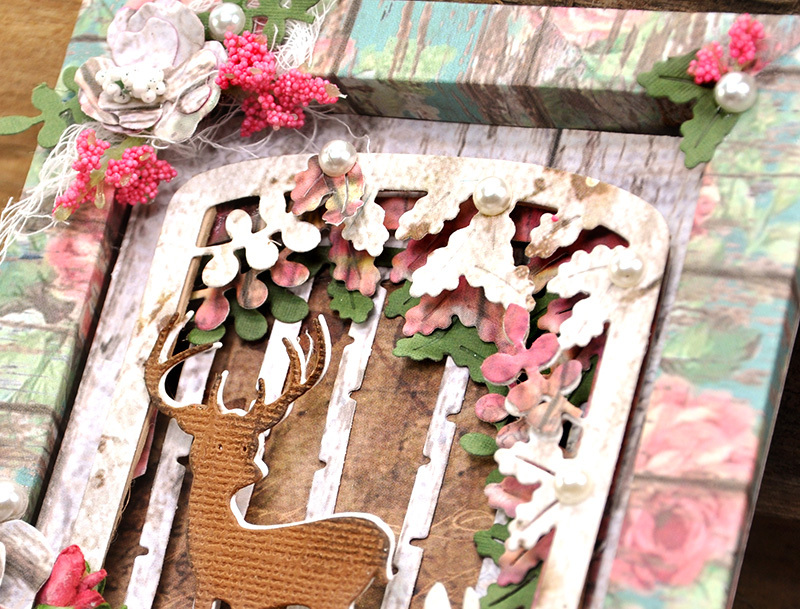 to customize and perfectly coordinate my project. 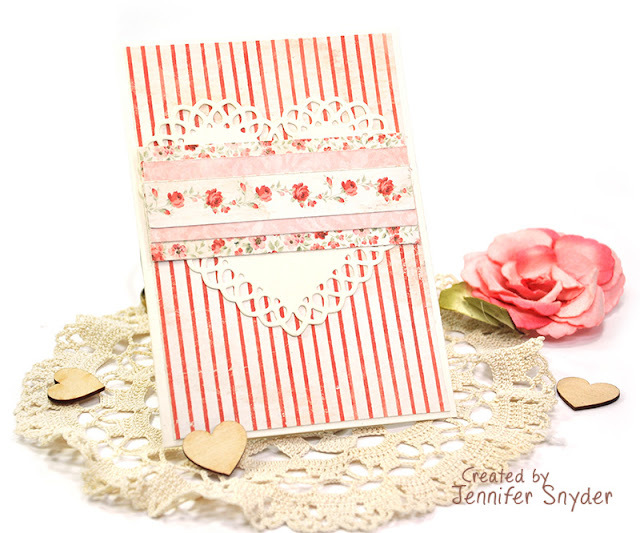 Next I made a matching card to accompany the Shadowbox Valentine. 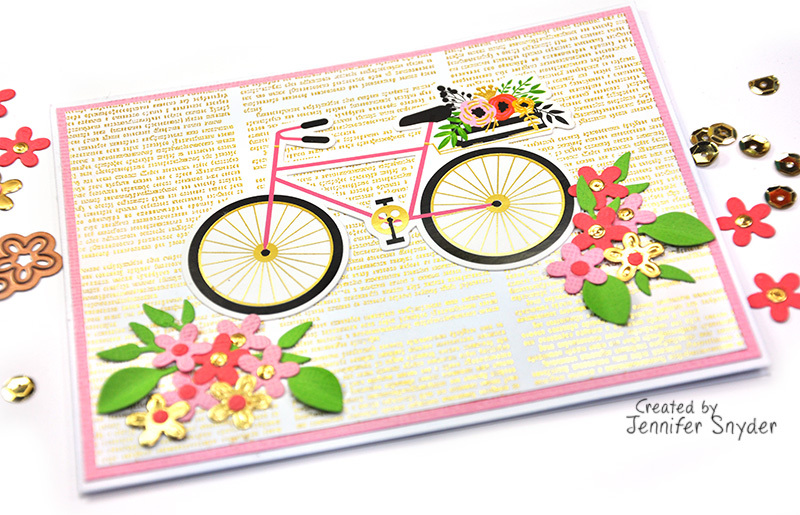 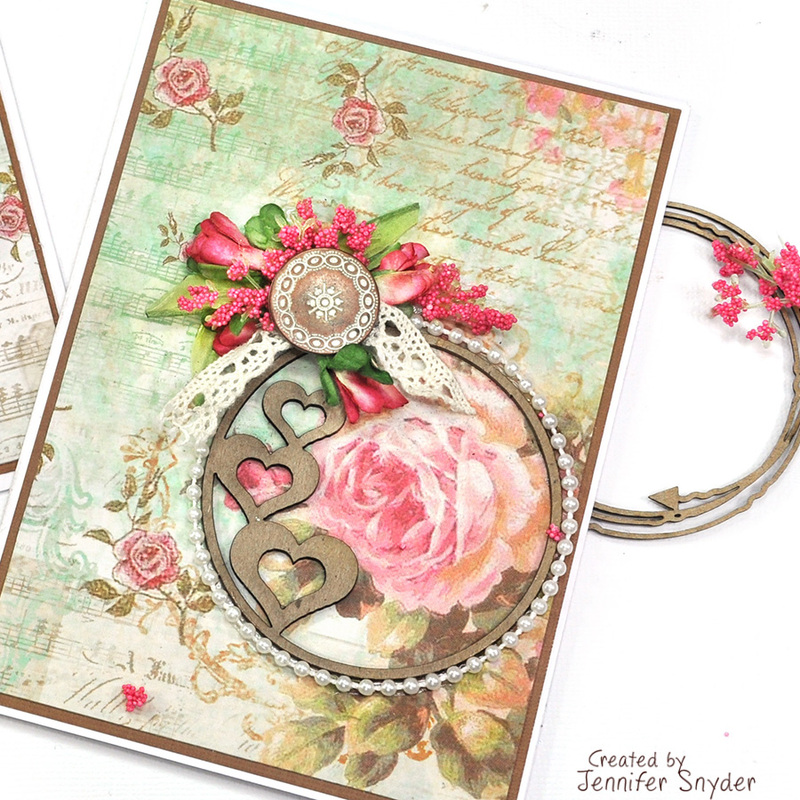 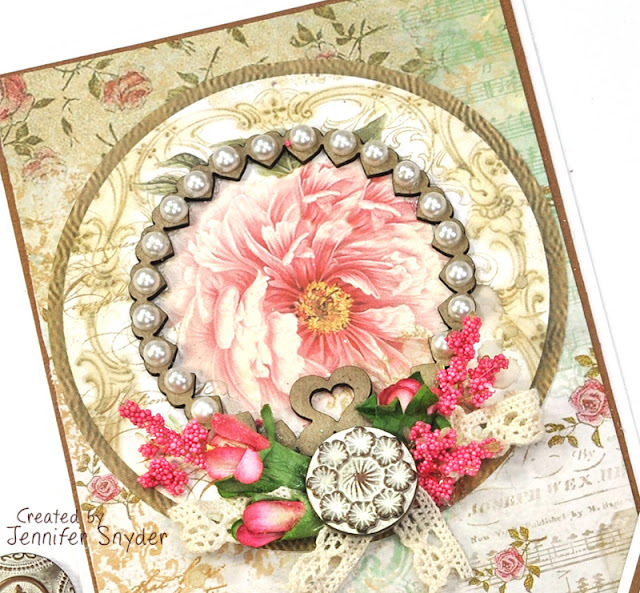 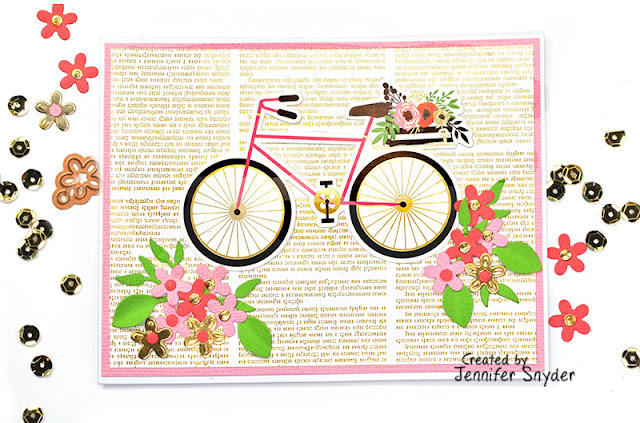 The card was made using the following Maja Design Summertime papers and the delicate Spellbinders Lace Hearts die. Yes it's a very simple card and still graceful. 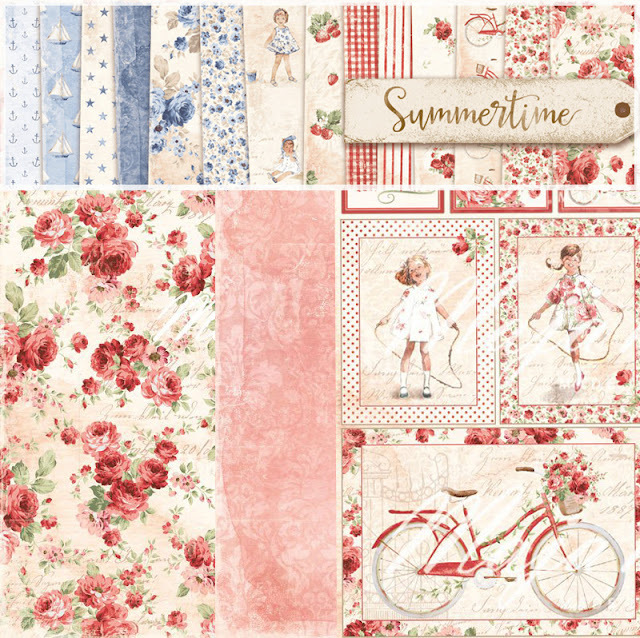 You can shop for Maja Design's Summertime paper collection here. 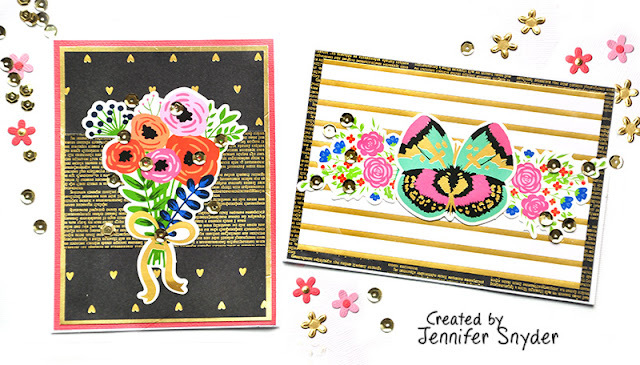 You can grab the Die cut sheet from Maja Design here. 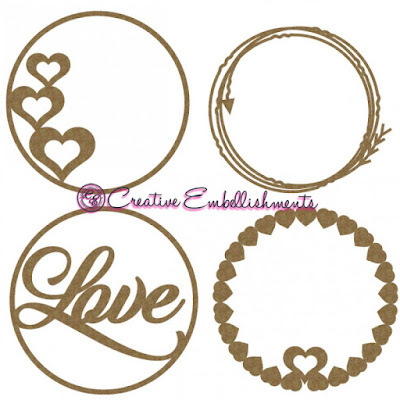 Shop for the sweet Wood Veneer conversation hearts from Creative Embellishments here.